« ஜே.கே. ரித்தீஷின் சொத்து மதிப்பு எவ்வளவு? 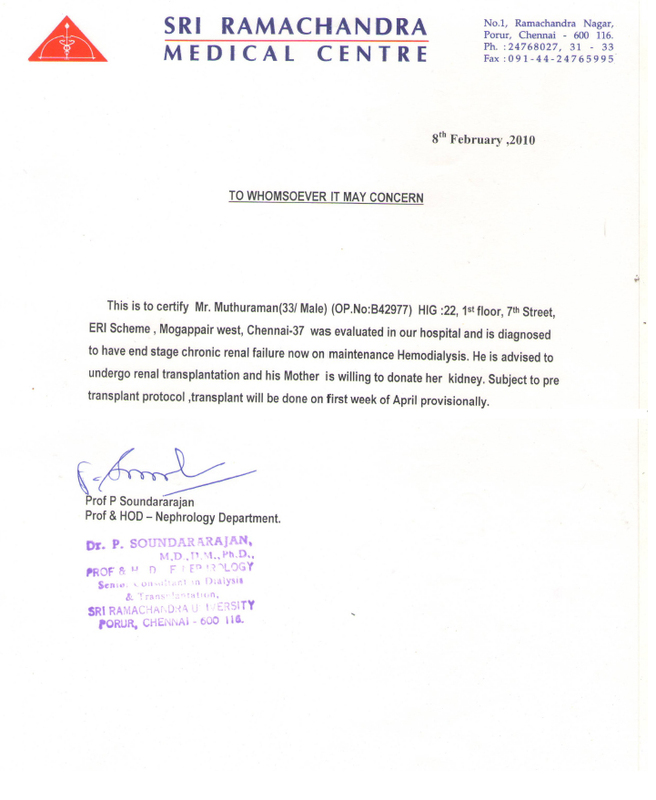 I read this story 2 years back and we had discussion among us – I was also a kidney failure patient at 2010 and got transplanted at Dec2010 at Chennai MIOT hospital and I am alright now. After recovering from this disease I really got an opportunity to realize the pain and financial problem of the renal failure patients. This disease will not only kill the patient, it will erode all the wealth in the family. Now I have been inquiring as many dialysis patients in my hospital frequently about their health condition and expressing my solidarity for recovery. Can you tell me how is Muthuraman doing now? Is he doing well? Some time back I read in pa.ragavan’s blog that his mothers kidney might not suit him and he is still undergoing dialysis. Would like to know how Muthuraman is doing? My prayers to Muthuraman.